Glowing energy-generating kites, space-waste-tracking lasers, and a super-sized air purifier that helps turn smog into jewellery. 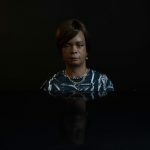 These are just a very few of the genius ideas germinating in Rotterdam’s Studio Roosegaarde, founded by Dutch artist/innovator, and C2 Montréal 2019 speaker, Daan Roosegaarde. 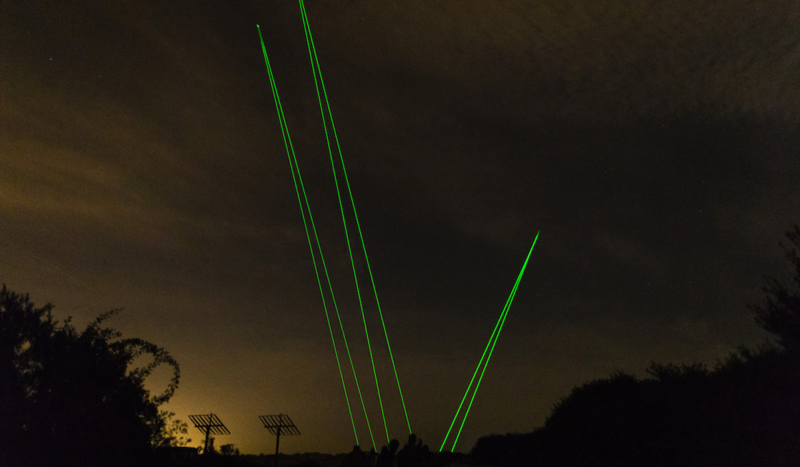 Studio Roosegaarde is a social design lab where Daan, together with his team of designers and engineers, explores the relationship between people, technology and space with the goal of improving daily urban life and creating a socially conscious, sustainable future. The following fab photos are a cross-section of some of the extraordinary projects that the studio has conjured up. 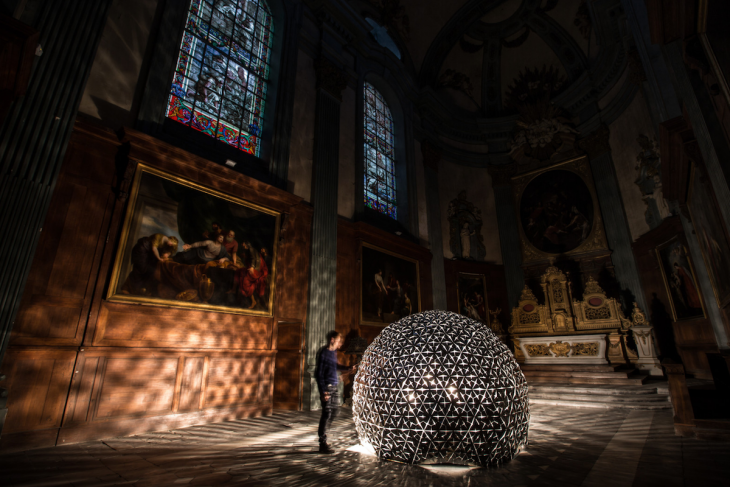 Pictured above, in the 17th-century Sainte-Marie-Madeleine Church in Lille, France, the LOTUS DOME merges elements of architecture and nature in an interactive environment that plays with light and shadow. The smart foils covering the dome fold and unfold as a result of the heat emanating from one’s hand. Or magic, take your pick. SMOG FREE TOWER is the world’s first smog vacuum cleaner. 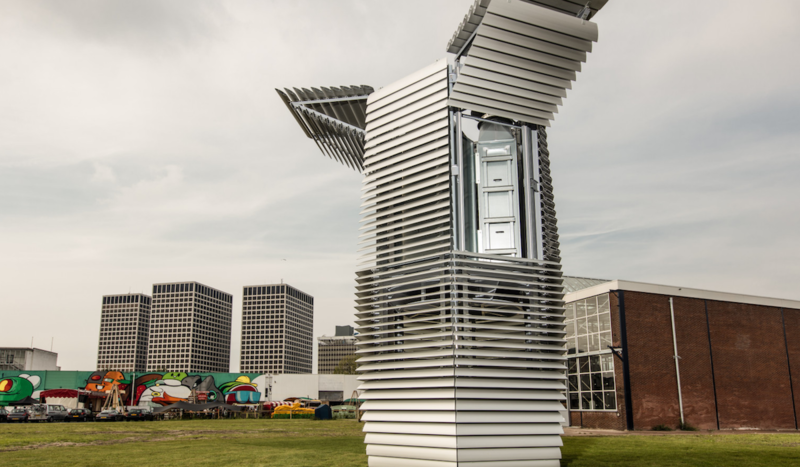 The seven-metre high SMOG FREE TOWER uses patented positive ionization technology to clean 30 m³ of air per hour and uses very little green electricity. But that’s not all. The captured smog particles can then be compressed into jewellery, namely SMOG FREE RINGs. This Valentine’s Day, give the gift of smog. Green energy, for reals. 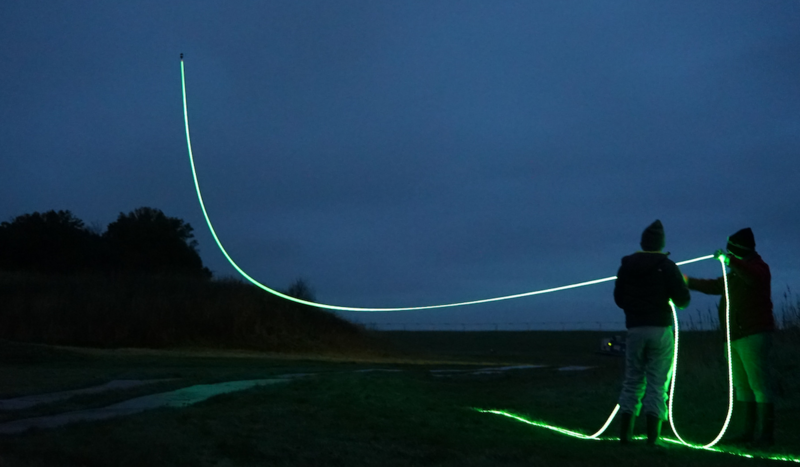 WINDVOGEL consists of smart energy-generating kites that produce renewable energy using green-light-emitting cables. The push and pull of the cables, which are connected to a ground station, is transformed into electricity, enough to supply up to 200 homes. Stretching along 110 metres of Departure Hall 3 in Amsterdam’s Schiphol Airport is a view of the bright blue sky outside. Sort of. 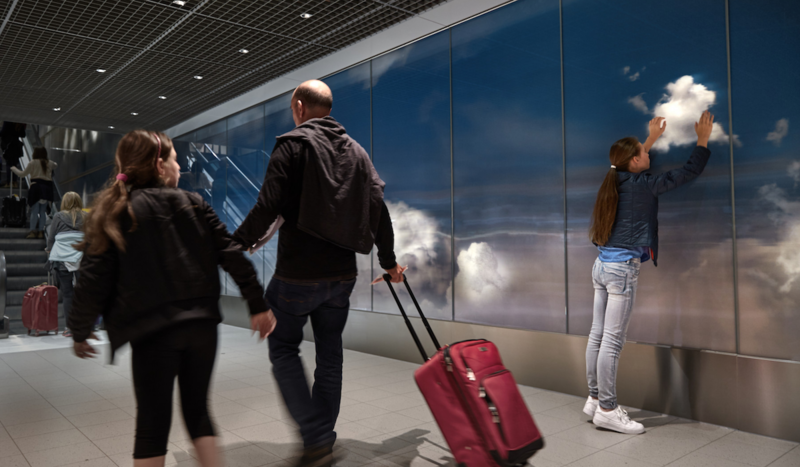 An augmented reality installation, BEYOND’s 3D lenses, special embedded LED lamps and large-scale lenticular printing (it’s actually the largest lenticular print in the world) give the impression of wide open skies at your fingertips — even though BEYOND’s panels are only 10 cm thick. Electric boogaloo, indeed. 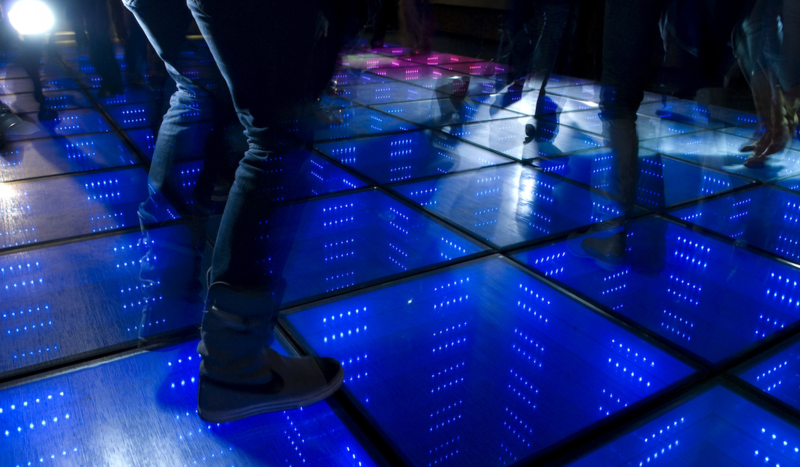 SUSTAINABLE DANCE FLOOR is an interactive dance floor that converts clubgoers moves into electricity. Studio Roosegaarde created it for the appropriately titled Club WATT in Rotterdam, and the energy generated is used to power lighting and the DJ booth. Safety is a beautiful thing. 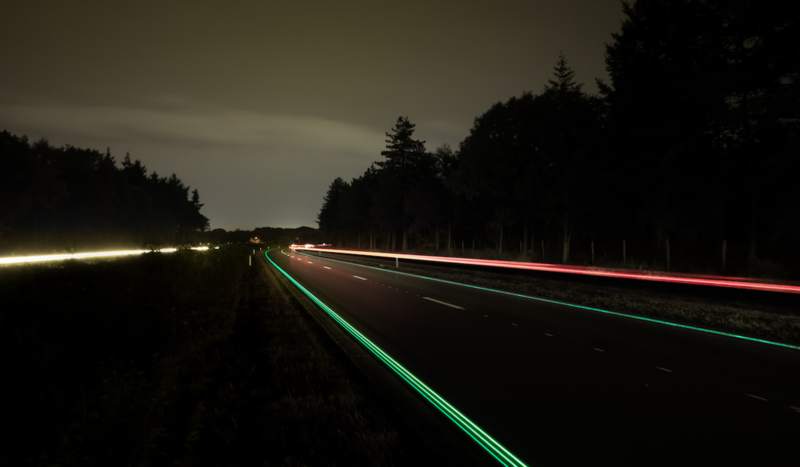 Using smart coatings, energy harvesting, sensors and other media, GLOWING LINES charges during daytime and glows for up to eight hours at night for several hours, creating a memorable highway experience while increasing road safety. There are more than 29,000 objects larger than 10 cm floating around the Earth. Daan’s recently launched SPACE WASTE LAB visualizes garbage 200 to 20,000 km above your head using laser installations and real-time tracking, while accompanying educational workshops investigate how to upcycle space waste into sustainable products. 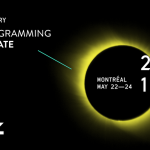 Check out the rest of the C2 2019 speaker roster (so far) here. And be sure not to miss out: buy your passes here.